300 Shields Extreme slot from NextGen Gaming promises to pay out some huge amounts, up to 17,770x your stake on a single spin in fact, but it comes at a high risk. It’s a very volatile game just like its predecessor, but what’s changed? The second highest value symbol in 300 Shields Extreme slot is the Wild symbol, shown as a Spartan warrior. This symbols all substitutes for all other symbols in a winning combination apart from the Scatter symbol, and also has a special property during the Free Spins Bonus as we’ll see. Finally, there’s the Scatter symbol shown as a shield which is the most valuable symbol in the game. It pays in any position and is used to trigger the Free Spins Bonus. Free Spins Bonus. 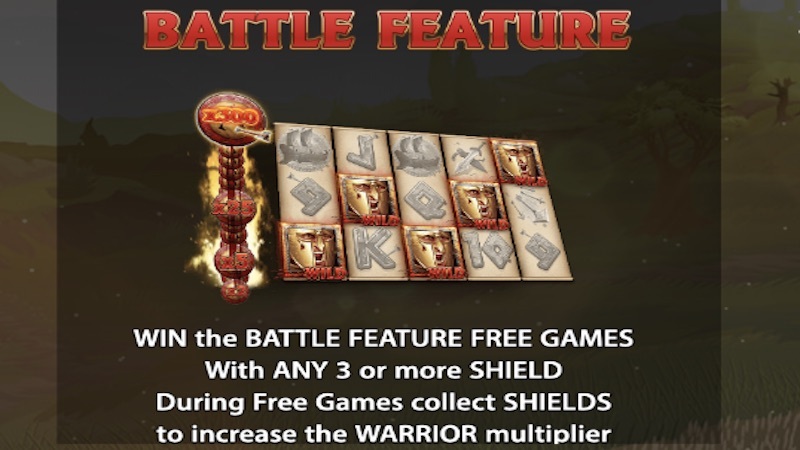 This is triggered by at least 3 Scatter symbol, with 5 free games being awarded and all Wild Warrior symbol wins will be doubled if 3 or more symbols appear during the Bonus. IF you collect 2 or more Shields, another series of 5 free spins will be awarded and all Wild symbol wins will be multiplied by 5. Collecting 6 or more Scatter symbols will award a third series of 5 free spins, with Wild symbol wins multiplied by 25x. Finally, collecting 12 Scatter symbols will give you a fourth series of 5 free spins, multiplying all Wild wins by a whopping 300x. Whenever 3 or more Shield symbols appear, you will always receive an additional 5 free spins in the current stage. NextGen Gaming has produced a very high volatile slot with 300 Shields Extreme slot so bare that in mind as it’s not for everyone. What that means is that huge wins are available, and we do mean huge, but it could cost a lot of money to see any substantial wins. If you are after that life-changing win though, it could be for you. There’s only one thing to focus on here and that’s the Free Spins Bonus. 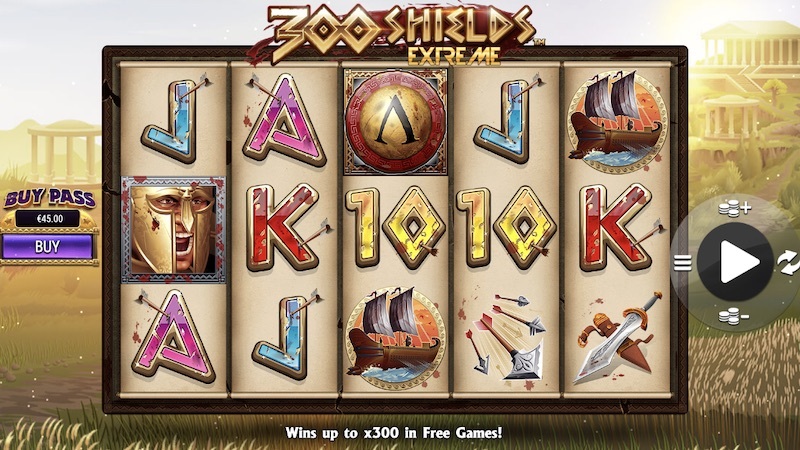 By collecting shields, you can win more free spins and, most importantly, increase the Wild multipliers up to an impressive 300x. This means you could win a massive 17,770 x your total stake on a single free spins. Getting to this multiplier won’t be easy though and could take a lot of time and investment. I have to say I do like the game and that so much is on offer, but I have 2 main issues. Firstly, there should be at least 1 more feature, if not more, to make the game more exciting. This is not a fun game to play for a long time, which is something you’ll want to do if you’re chasing the big wins. Not only that, but it’s very similar to the original 300 Shields slot. Aside from improved graphics and the ability to buy the Bonus, it’s basically the same. With an extra feature or 2, even small ones, I think this game could be really impressive, but as it stands it’s probably only for a small audience and care should be taken when playing the game. You can check out more of NextGen Gaming slots here. Can pay out massive sums. Better graphics than older version.